Cordis Corporation and the FDA informed healthcare professionals of a Class I Recall of all Fire Star and Dura Star balloon catheters, lots 13173912 through 13315455, plus 52 additional lots above 13315455. Balloon catheters are used in a medical procedure (known as angioplasty) to open narrowed or blocked blood vessels or arteries of the heart. The product has a potential for slow deflation or no deflation of the angioplasty balloon when inserted into the artery or other blood vessels. This may potentially result in: a total blockage of the artery or blood vessels, a change in the heart rate or heart rhythm, injury to the heart artery, a heart attack, need for surgical intervention or even death. 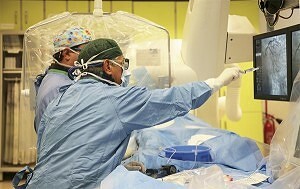 emergency by-pass surgery for their coronary angioplasty. If you or a loved one falls into one of the above-mentioned categories, please call us at (800) 888-8888, or contact us online.